Traditional game day foods tend to be greasy, fattening, and high in calories. Pizza, fried chicken, and nachos are common game day foods that sit heavy in your stomach. Most game day snacks lead to weight gain if you and your family members are prone to mindless munching while watching TV during the football season. But we have some awesome, healthy game day snack options for you! But game day doesn’t necessarily have to offer negative health consequences — in fact, you can turn most of your favorite meals and snacks into healthier counterparts that leave you feeling more energetic and satisfied, and less guilty about your food choices. 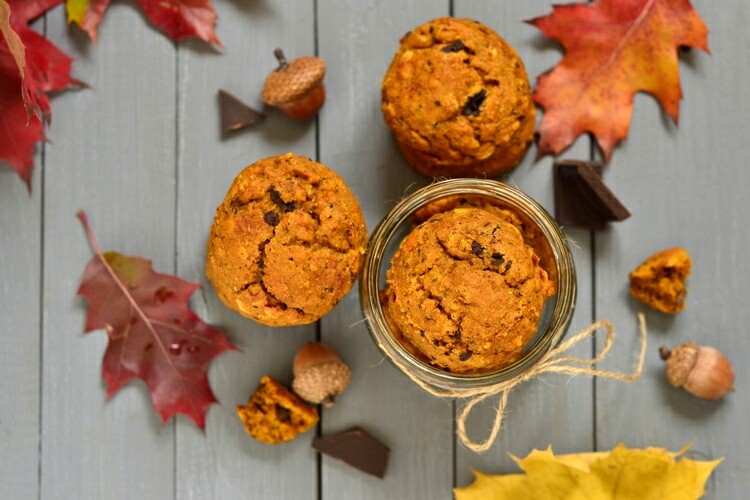 Check out these healthy game day snacks you can make for your family and guests throughout the fall and holiday season. Cauliflower is a good source of fiber and omega-3 fatty acids, and is loaded with folate, vitamin B6, vitamin C, and vitamin K. Many admit to struggling with eating cauliflower plain by itself, but this cruciferous veggie blends well with tahini to make a tasty hummus dip. Prepare cauliflower hummus using this recipe, and serve with vegetables, whole-grain crackers, or pita bread. Black beans are high in protein, fiber, and many other nutrients that boost your energy and improve digestion. Instead of making traditional beef nachos with nacho cheese, try this recipe for black bean and chicken nachos. For an added nutrition boost, use our Hunger-Control barbecue-flavored chips that are high in protein, and far more filling than most high-carb corn chips sold at grocery stores. Autumn is harvest time for butternut squash — meaning the fall season is the best time to benefit from the high amounts of protein, fiber, vitamin A, vitamin C, and countless other nutrients found in squash. Chili is a versatile game day food that can be loaded with veggies like bell peppers and tomatoes. Serve this butternut squash chipotle chili with fresh cilantro and avocado slices, which add some healthy fat to your meal! Spinach is a leafy green high in vitamin A, vitamin K, and essential B vitamins, while pine nuts are high in protein and healthy fats that help boost energy and create a feeling of satiety. Prepare this healthy Greek-yogurt-based spinach dip for game day, and serve with raw veggies. These healthy pizza wraps replace high-carb pizza crust with Bibb lettuce leaves, which are low in calories and high in vitamins A and K. Prepare this recipe for pizza lettuce wraps, and set out a spread of different vegetables and other healthy toppings so everyone can choose their favorite ingredients. These flourless, gluten-free cookies can be easily prepared using just a whisk and spoon so you don’t have to pull out your mixer and make a mess. Ingredients including peanut butter, maple syrup, and oats are healthier alternatives to the brown sugar, cane sugar, and flour in most chocolate chip cookie recipes. Use this recipe to make a healthy, satisfying dessert that won’t compromise your weight-loss goals.